This unique event took place at the Observatory of Nice located atop Mont-Gros. The historic site of the Azur Coast Observatory is considered a remarkable historical, cultural and scientific landmark. The guests gathered at the Observatory's Grand Méridien, a beautiful courtyard overlooking the Baie des Anges, for a Welcome Cocktail hosted by Frederique Constant's founders, Peter and Aletta Stas. As the night grew darker, guests were invited to join the Grande Coupole where Peter Stas welcomed Mr. Jean-Pierre Rivet to the stage, who introduced the great history of the Observatory as well the very interesting co-relation between Watchmaking and Astronomy. After introducing the architectural marvel that is the Observatory as well as its historical significance to the scientific field, he moved on to present the astonishing relation between time and stars by explaining the complex inner workings of the curious "Antikythera mechanism", a horological device manufactured in one century B.C, to reproduce the Sun and Moon cycles. He said "Understanding the perfection and beauty of celestial mechanics would be hopeless without the diligent quest of watchmakers for perfect and beautiful timepieces. Two millennia later, this desire is still current and high-modern watches often incorporate complications to reproduce the Moon phase cycle", such as the beautiful yet intricate Slimline Moonphase Stars Manufacture. 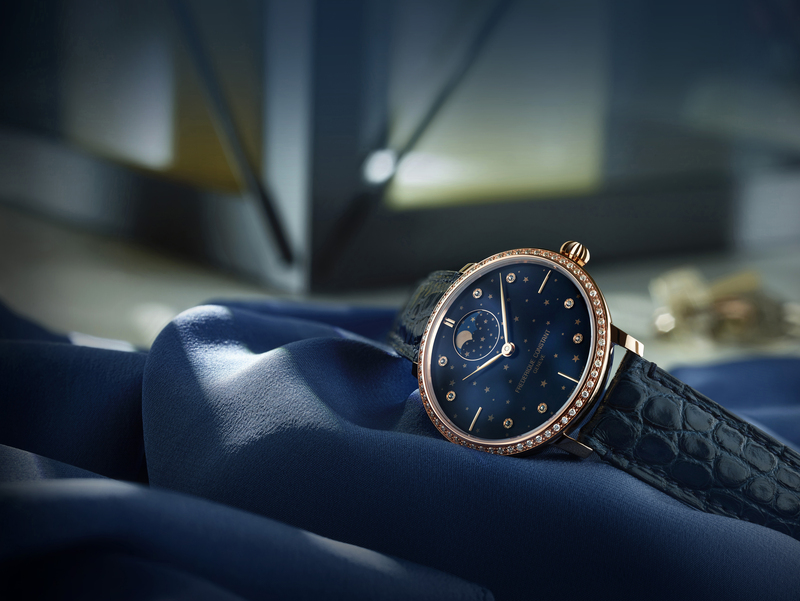 Following this interesting scientific introduction, the time had come for the unveiling of Frederique Constant's latest Baselworld novelty: The Slimline Moonphase Stars Manufacture. 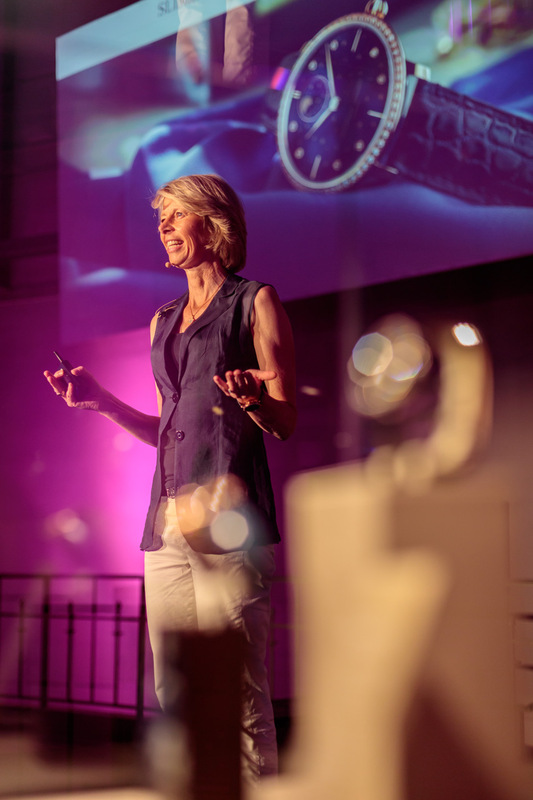 Aletta Stas took the stage and presented the elaborated details of the timepiece. 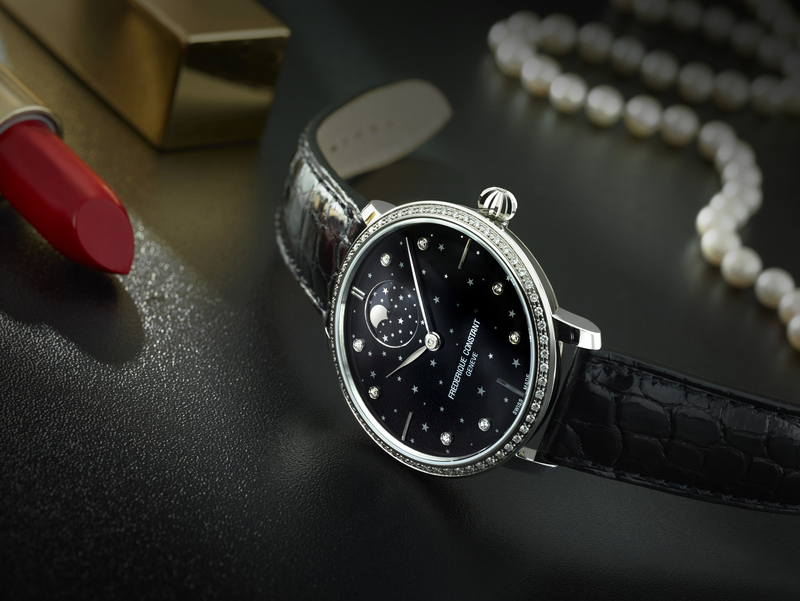 Designed by Aletta Stas, co-founder of Frederique Constant, the Slimline Moonphase Manufacture Stars is an elegant fusion of femininity and artisanship resulting in a graceful Lady's timepiece. 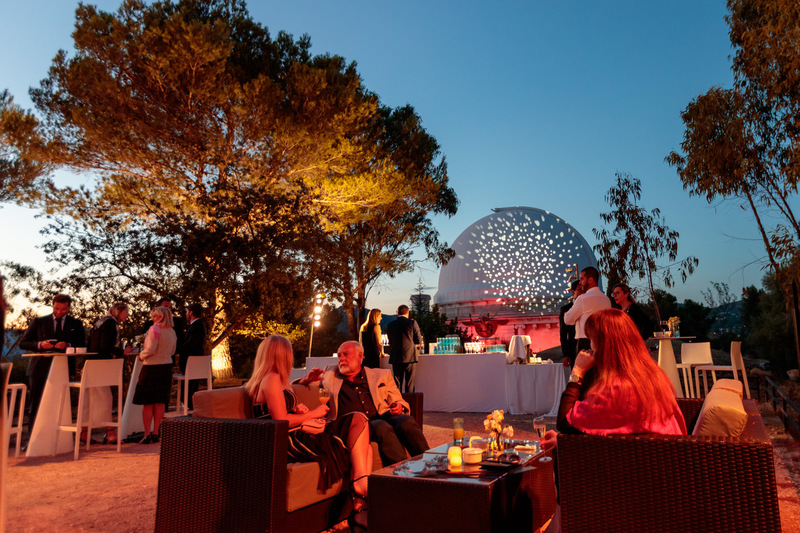 After the reveal of the Slimline Moonphase Stars Manufacture, guests gathered once again in the Grand Méridien for a lavish Cocktail Dinner under the stars. In the gardens, guests were able to admire an extensive exhibition of astronomic instruments linked to watchmaking, telescopes were set up by the Amateur Astronomy Club to show Saturn all the while, a DJ played lounge music in the background. The evening ended with great enthusiasm while stars guided guests home.